The new name of the airport will be Louisville Muhammad Ali International Airport, officials announced on Wednesday (Jan 16). In a statement posted on social media, the airport said its board "voted meaningfully" to recognise his legacy as a Louisville native by renaming the airport in his honour. The airport's three-letter location identifier - SDF - will not change. Louisville mayor Greg Fischer tweeted: "Muhammad Ali belonged to the world, but he only had one hometown. Today’s decision to change @flylouisville's name to Louisville Muhammad Ali International Airport is a major piece of a broader effort to celebrate those deep ties." 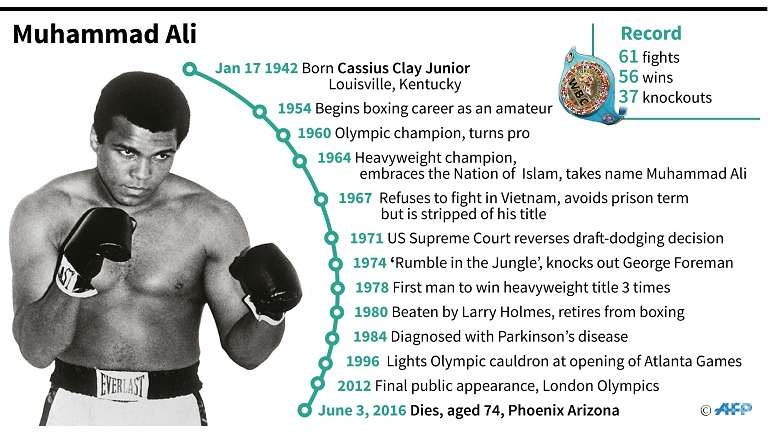 Ali was born in Louisville, Kentucky, on Jan 17, 1942, as Cassius Marcellus Clay Jr, a name shared with a 19th century slavery abolitionist. He changed his name after his conversion to Islam. 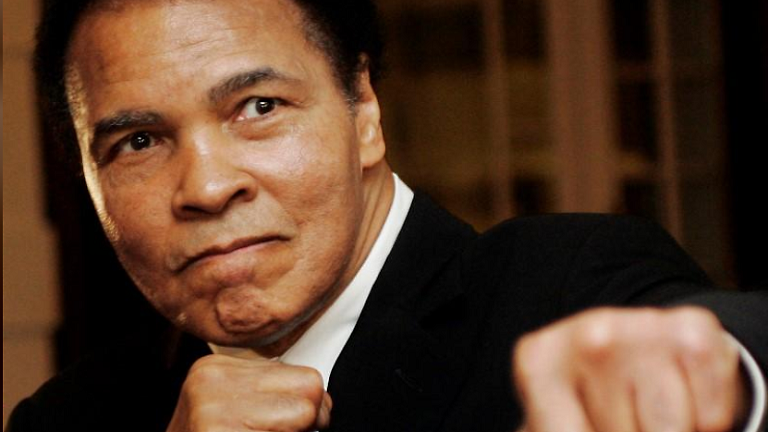 After a prolonged battle with Parkinson's syndrome, which impaired his speech and made the once-graceful athlete almost a prisoner in his own body, the boxing legend died on Jun 3 2016 at the age of 74. The death of the former heavyweight champion known as much for his political activism as his boxing brilliance, triggered a worldwide outpouring of affection and admiration for one of the best-known figures of the 20th century. Former US president Barack Obama said Ali was "a man who fought for us" and placed him in the pantheon of civil rights leaders Martin Luther King Jr and Nelson Mandela.